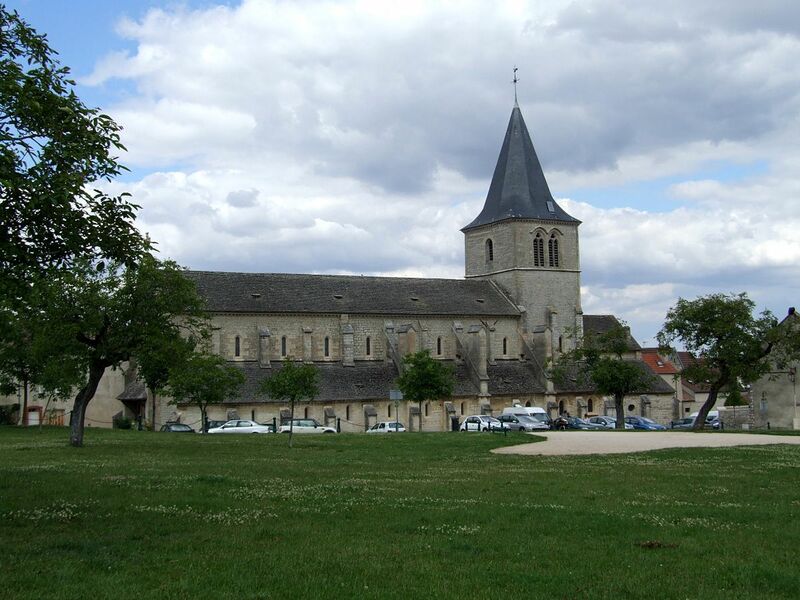 Until the twelfth century, the French “Mons de Talant,” located at the gates of Dijon and belonging to the estate of the abbey of Saint-Benigne, was a completely uninhabited place. Considered as if accursed by some, the grounds were given a wide berth and altogether avoided. To others possessing a more lively imagination, the location was said to be frequented by fairies. In 1208, the Duke of Burgundy, Eudes III, undertook the construction of the fortress of Talant in order to ensure a safer shelter of its treasures and archives than in his ducal palace of Dijon. He founded north of the castle a new fortified city and a priory for some monks of Saint Benigne. A church, begun at the same time as the other works, was one of the earliest Gothic churches in the Duchy of Burgundy. The finished enclosure of the city was 1110 meters long and flanked by 33 towers. Duke Eudes III welcomed particularly all the serfs who fled the oppression of their lord. Many peasants, attracted by the notion of freedom and the ability to work freed from all hindrance, began to arrive in droves. In 1216, the duke granted the inhabitants the right to administer themselves by promulgating “the Charter of Commune,” exempting them from taxation and military service. So many people were attracted to Talant that it became necessary to enlarge the church. A bell tower was also added, but the extra weight was too great and the walls began to bow outward. External buttresses were added in the 15th century to solve the problem. John the Fearless, eldest son of Philip the Bold, returning from the crusade in 1396, brought back as a trophy the statue “Virgin of St. Luke” that he offered to Talant. 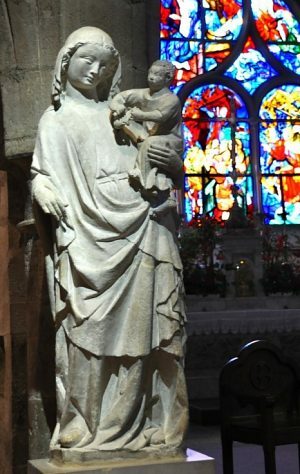 The statue of the Virgin is exposed in the church, and in 1443, the bishop of Langres, Charles de Poitiers, consecrated the church to the Mother of God. During the Eighth War of Religion, in 1585, the partisans of Guise seized the fortress by cunning. After its return to the hands of the king in 1598, the decision was made to demolish the castle and the ramparts of the city. The work was finished in 6 months, and Talent was reduced to the condition of a simple village. The church of Notre-Dame remains, however, and has been classified as an historic monument since July 20, 1908. The statue of the Virgin of St. Luke can still be seen there. I have very limited information about this feast of Mary. Have you visited this shrine? Do you have more information, or a great story about this? Please share it!